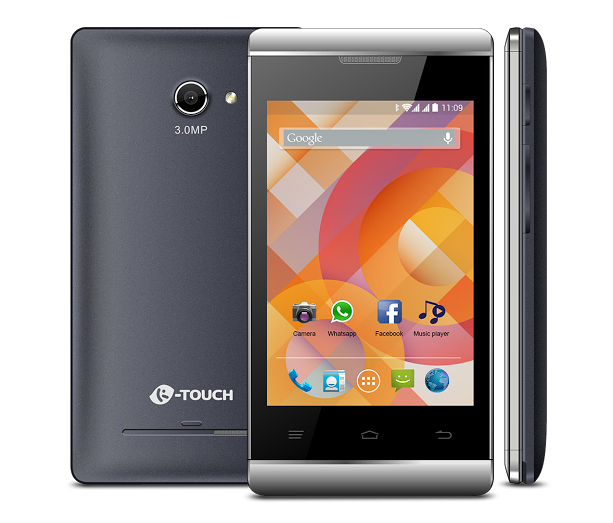 K Touch, Indian Smartphone manufacturer has launched the new A20 Android Smartphone. The K Touch A20 features a 3.5-inch HVGA capacitive touch screen display and is powered with 1 GHz processor for faster device performance. The Smartphone runs on Android 4.4 KitKat out of the box and has dual SIM support. On the storage front, the K Touch A20 comes with 256MB of RAM, 2GB of internal storage and the external storage expandable up to 32GB via microSD card. It also comes with a 3MP rear camera with flash and VGA front camera for selfies and video calls. The device also comes with other features such as mail configuration, mail attachment viewer and inbuilt Google Search bar. The K Touch A20 packs with 1300 mAh battery on the back to power the Smartphone. With 3G connectivity, it makes the users to experience the high speed data based services like Facebook, WhatsApp and other internet apps. The K Touch A20 Android Smartphone will be competing with other Smartphones like the Champion My Phone 35, Adcom A35, Celkon Campus A35K and Intex Aqua 3G Mini.